I’m super honored to have been invited to participate in QPop’s “Bros vs Bros” art show, focusing on Super Mario Bros and the Shaw Bros. 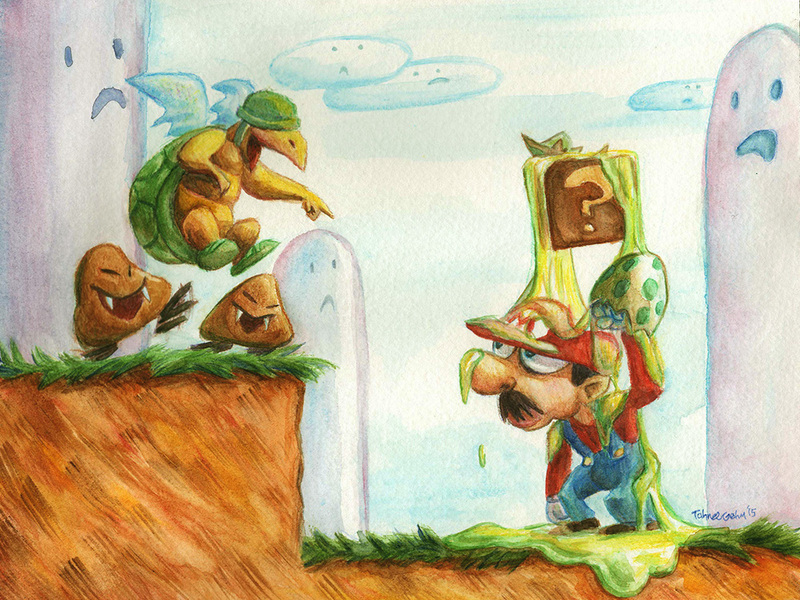 Growing up on Nintendo, I couldn’t pass up making fan art of some favorite foes turning the tables on Mario! Leave it to a koopa to put an unripe Yoshi egg in a [?] block.